You are here: Home / Blog / Other / Once an OGR alum, you’re part of the family! Once an OGR alum, you’re part of the family! We’re all family here at Old Glory Ranch. Once you are a bride, groom, parent of a bride or groom, or wedding party member, you automatically become part of the Old Glory Ranch family. So what does that mean? Well, once the celebration is over, the sparklers have fizzled out, the cake is gone, you’re back home from the honeymoon or back to the daily grind, then what, you ask? We have an old adage here, after your wedding you not only gain a new family that you married into, you also become a part of ours. And, here’s the funny part, apparently we can’t get enough of you because we invite you back for yet another party to relive the one you had! Over and over again. It’s just something we do. 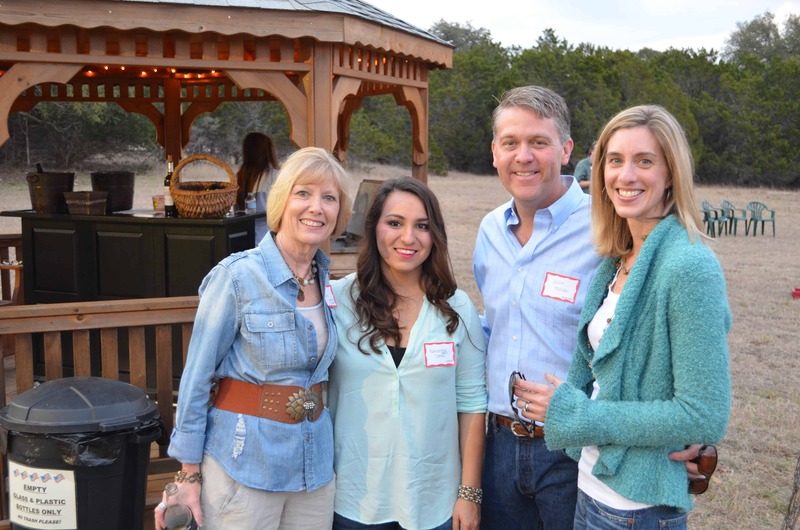 We had a great turnout for our 2015 Old Glory Ranch Alumni party this past weekend! Mother Nature cooperated with beautiful weather for playing on the Sport Court and dining to delicious nom-nom from Sullivan Street Catering under the stars on the Patio. It was wonderful to see familiar faces and catch up on all their life changes since being married at Old Glory Ranch. Each former client had wonderful comments to share with us and other alums, making us love what we do even more! We always look forward to these gatherings and our alums have voiced that they do too! So, having just wrapped up our the party, we wanted to share a few photos that were snapped and some interesting comments we heard from our alum members. Heidi [Gass] Marburger and parents Jerry & Jan.
Lots of laughter, sharing of stories, and even future plans were made at the alumni gathering. It was wonderful to see couples making new friends and sharing that one thing they all had in common, having their wedding at Old Glory Ranch. Tracy [Walker] & Daniel McCameron [6/26/10]. Alums Liz Danna, Samantha [Ruiz] Danna [2/22/14], and Jason & Susan Mercer [9/13/03] get acquainted. 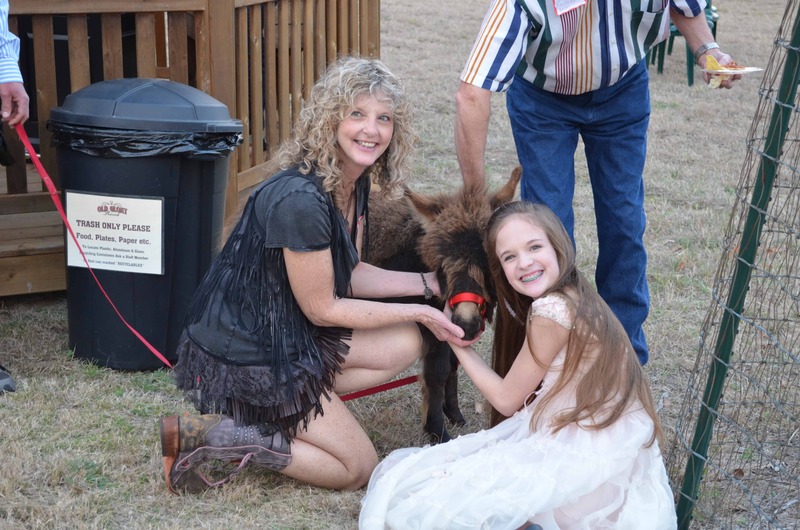 Gail [Law] Newlin [5/29/09], and her flowergirl Page, visit with the mini celebrity Christopher. An unexpected guest, Christopher Columbus, even crashed the party! It was a wonderful mix of people. Alums that were married as early as 1997 and as recent as December 2014 were present. If you were married or part of a wedding party at Old Glory Ranch, and want to be included in our next Alumni event, please send your current contact information to us and we will be happy to include you! You can email to: [email protected] or call us at 512-847-3646.
https://oldgloryranch.com/wp-content/uploads/2014/11/logo-400px.png 0 0 Suzanne McCord https://oldgloryranch.com/wp-content/uploads/2014/11/logo-400px.png Suzanne McCord2015-02-27 18:38:242015-09-16 15:17:39Once an OGR alum, you're part of the family!